A smelly washing machine is usually caused by bacteria building up somewhere inside it. This is an unfortunate side-effect of us becoming more environmentally conscious; washing our clothes at a lower temperature and using non-biological powders is much better for the environment, but unfortunately isn’t as effective at killing bacteria. 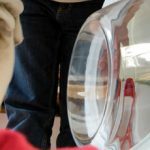 You might find that a build-up of mould has formed inside your washing machine drawer, which is often the cause of the smell. It may also have spread into the drawer compartment so you’ll want to give both a good clean. 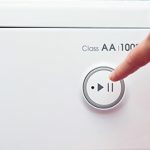 For instructions on how to clean your soap drawer properly, our article How to Remove and Clean the Soap Drawer in your Washing Machine can help. If the soap drawer is broken at all, it’s a good idea to replace it with a new one, which you can find in our Washing Machine Drawer shop. 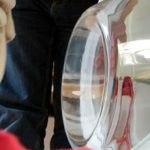 The washing machine door seal can also fall victim to bacteria build-up, as water can sometimes get trapped or collect at the bottom after the wash cycle has finished. The seal is easy to clean using an antibacterial spray and either a kitchen cloth or scrubbing brush. 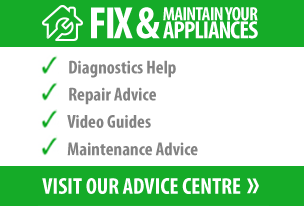 See our video which will show you how to replace a washing machine door seal. The washing machine filter is where all the fluff and lint from your garments collects. You’ll find it located towards the bottom of your washing machine. Before you remove the filter, place a towel underneath it to catch any water that might spill out, then remove the filter and have a look for any mould. You can wash the filter in a sink of hot water mixed with a drop of bleach which should kill off any bacteria, and scrub it well with an old toothbrush or scrubbing brush. It’s advisable to wear rubber gloves while doing this to protect your hands from the bleach. As well as cleaning off any mould, you can also run a maintenance wash using a Limescale and Detergent Remover, which will clear out a lot of the gunk that might be causing smells as well as removing limescale, which can cause other problems with your washing machine. To prevent the bacteria from coming back: Try to leave the washing machine drawer open and the door ajar, which will help to air it out.